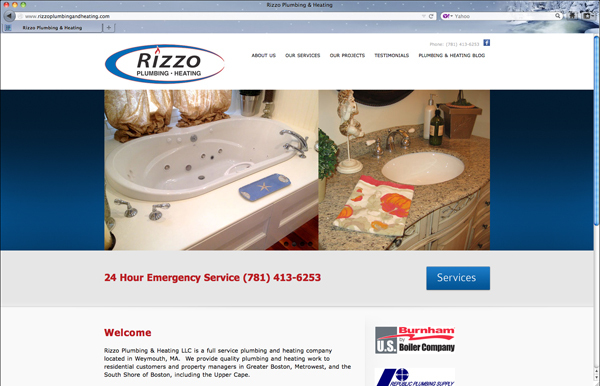 Judy Rizzo does a great job of running the family plumbing and heating business, but she had a difficult time updating their old website, and it was never found by search engines. 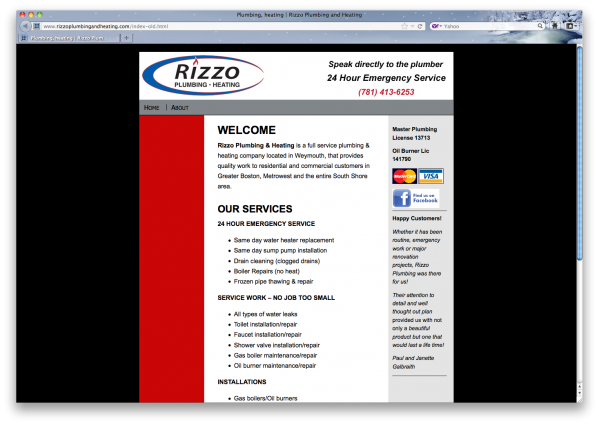 Plus, Rizzo Plumbing & Heating prides itself on upscale, clean, quality work, and their old website did not adequately reflect those values. Together, we created a clean, upscale, inviting new website that is easy for Judy to update regularly. Plus, she has recently taken to blogging about topics that interest and can help her clients.